Exceptional 5G user experience (QoE), and the survival of mobile operators and service providers, depends on automation: a mix of machine learning and AI. In the 1985 sc-fi flick, Back to the Future, the protagonists travel back in time in a modified 1980s-style sports car dubbed the DeLorean time machine (based on the real-world DeLorean DMC-12). Today, the present and future of automotive innovation looks and behaves more like Google’s Waymo self-driving car: fuel-efficient and automated, leveraging sensors and machine learning to make life safer and better for users. This analogy extends relatively well into the world of communications networks and the services and apps they support: networks (roads) and traffic patterns (vehicles) have become so complex to optimize, it’s rapidly getting to the point where doing so is beyond human control. And, while new management tools can be designed to work with networks as they’re now built and traffic as it now travels, automation will eventually change the entire system. As an industry-leading network performance assurance solutions vendor committed to innovation, Accedian has traveled with Tier 1 mobile operators to the future to see what it will take to manage 5G networks and effectively deliver a 5G user experience. What we’ve learned (warning: acronym soup ahead!) is that mobile backhaul is already being transformed by voice over LTE (VoLTE), network functions virtualization (NFV), traffic growth, and LTE-Advanced (LTE-A). 5G will take things to a whole new level—or, perhaps more accurately, to a new game entirely. “5G is not just a technology evolution, but is also positioned as an end market enabler, contrary to 3G and 4G, which were faster and more efficient access technologies,” noted ABI Research Director Dimitris Mavrakis. When the dust settles, things will never be the same again. The future lies with automation… and by that we mean a combination of machine learning (machines that are taught basic tasks) and artificial intelligence (machines capable of decision-making without human intervention). No doubt, automation can be anxiety-inducing. But, at least when it comes to mobile networks, it’s an inevitable requirement. Backhaul networks are becoming more complex, with gigabit Ethernet transitioning to 10G, in environments involving multiple domains and multiple vendors. Simple hub-and-spoke connections to cell towers are now changing to full mesh networks, with software-defined networking (SDN) calling the shots—and the result is cooperating access points that eliminate the concept of a cell with their universal coverage. Performance visibility is increasingly fragmented, with different levels of precision, granularity, and measurement support depending on the vendor or technology used. This inhibits the ability of SDN control to see, and therefore manage and optimize, traffic flows. The only way forward is to employ both passive and active monitoring, bringing network performance management and application performance management (NPM/APM) together for end-to-end (data center to application endpoint) and top-to-bottom (Layers 2 through 7) coverage. This vision for putting networks on intelligence autopilot is why Accedian has spent more than a decade focused on developing software-based performance monitoring solutions, and why we recently acquired Performance Vision, expanding our capabilities into the realm of passive, wire-speed data analytics. 5G demands a very high level of performance, and introduces new interrelationships between minor events in the network and significant quality of experience (QoE) issues. As such, hub-and-spoke, hardware-based solutions are no longer good enough to ensure end-to-end service availability and reliability. Only the scalability, granularity, and flexibility of a software-based, NPM and APM solution will do. Exceptional 5G user experience, and the survival of mobile operators and service providers, depends on it. In her role as Senior Marketing Editor at Accedian, Mae blogs, manages social media strategy, and produces a variety of collateral focused on thought leadership around telecom industry news and trends. 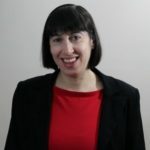 She has more than 15 years of journalism and marketing experience, covering business-to-business technology, including telecom, for a variety of organizations including TMCnet.com and Ziff Davis. Mae holds a B.A. in communications from Thomas Edison State College.